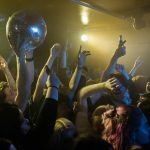 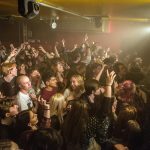 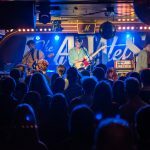 As Jaws descended into the belly of The Magnet, Getintothis’ Amy Farnworth was there to capture all the action. 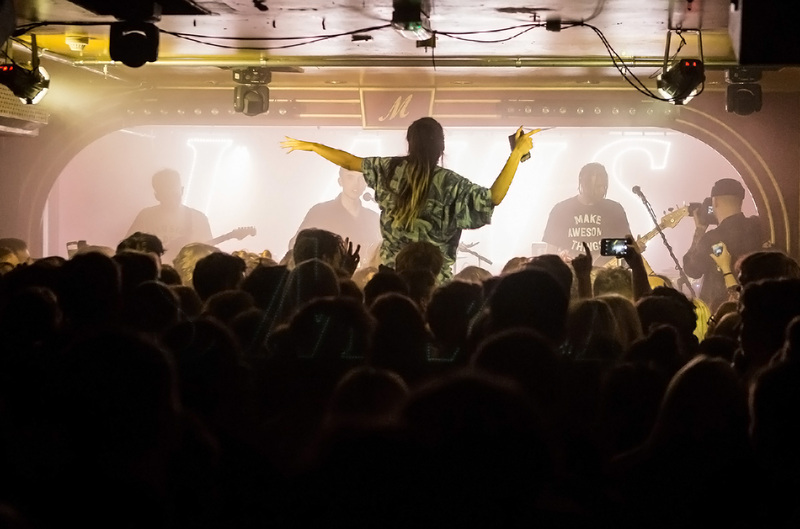 The frenzied crowd edged closer to the stage at the sold-out gig in Magnet, as Jaws entered, bathed in a white light, their shadowy silhouettes creating an air of mystery, the atmosphere buzzing with anticipation. 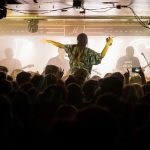 And that was it; that was the moment it became obvious – Jaws had some dedicated fans, and none more involved with the band’s presence than the ones down the front – the head-boppers, the crowd-surfers, the beer-swilling (sometimes beer-throwing) young kids who were excited, if not ecstatic to be in the throes of pure, gig-going ecstasy. 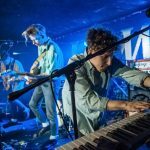 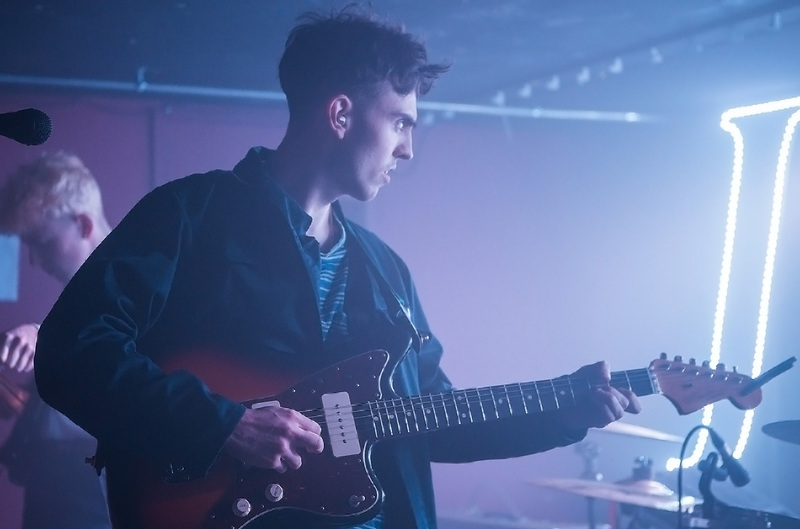 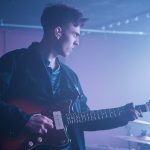 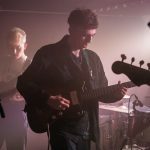 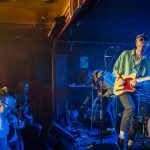 A slight technical fault marred the vocals on the band’s opening tune, with Connor Schofield’s endearing voice indistinguishable above the welcomed noise of their familiar dreamy, Cure-esque sound. 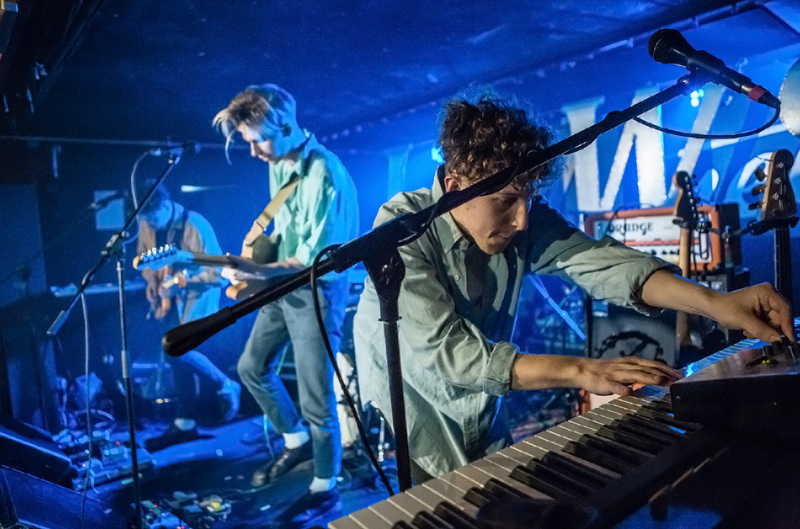 As the techies sorted the problem, the band played on, unwilling to let the rambunctious crowd down, unwilling to compromise their polished set. 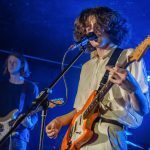 And with this set came great adoration, especially on Think Too Much Feel Too Little, when the band hardly had to sing, as the fan feedback was overpowering, the whole floor belting out: “We get it, we get it, it’s over. 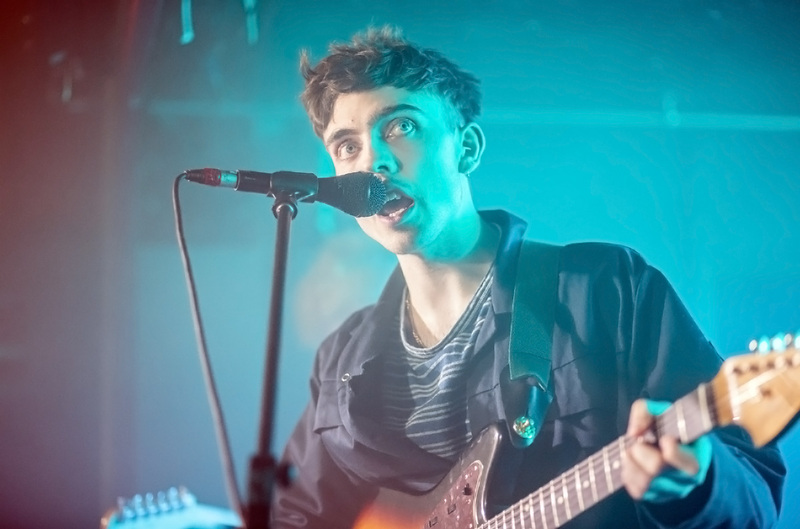 I go back to being alone”. 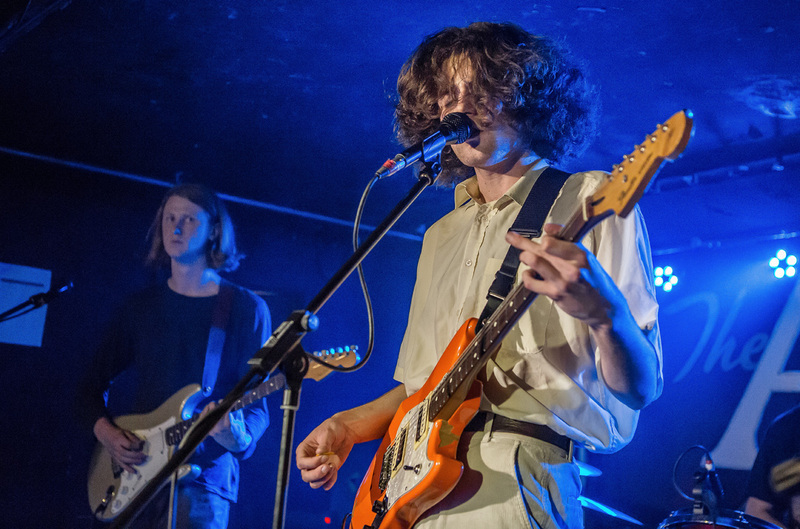 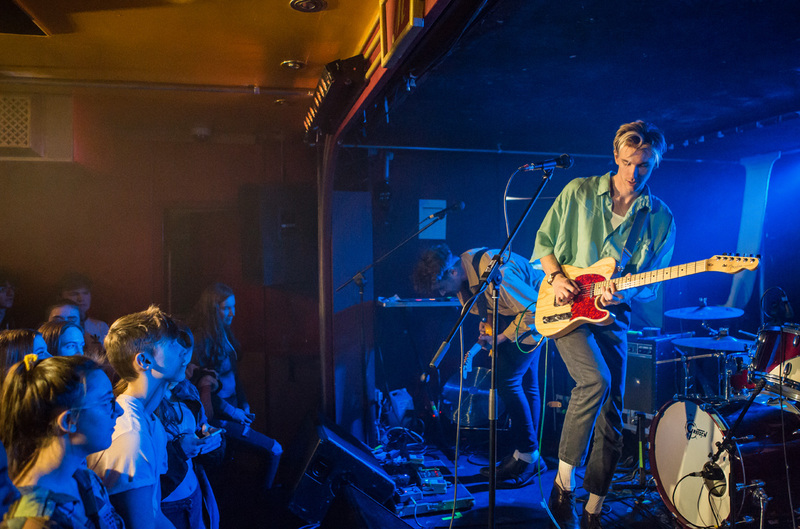 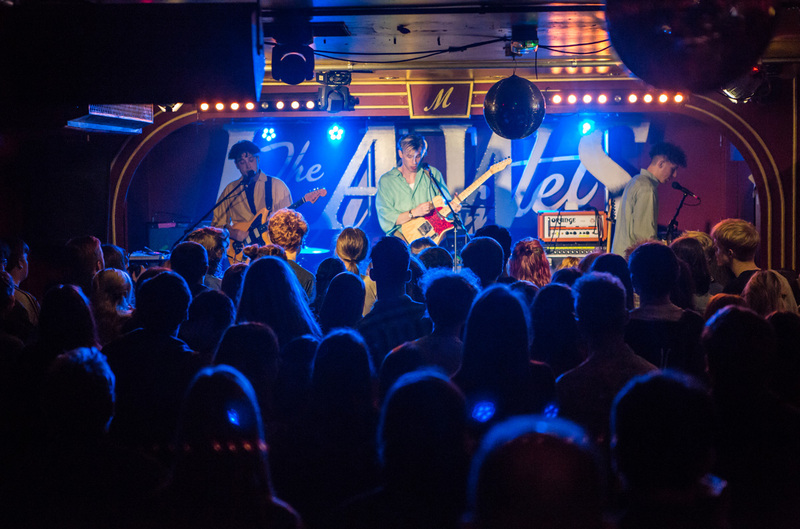 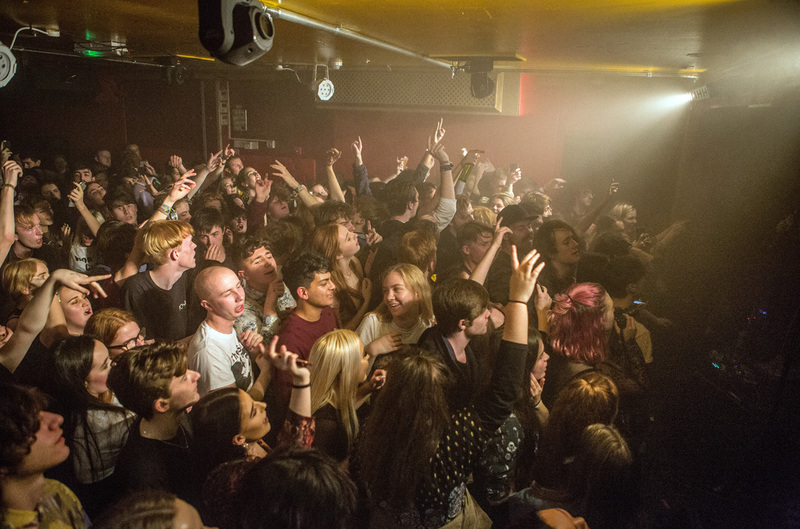 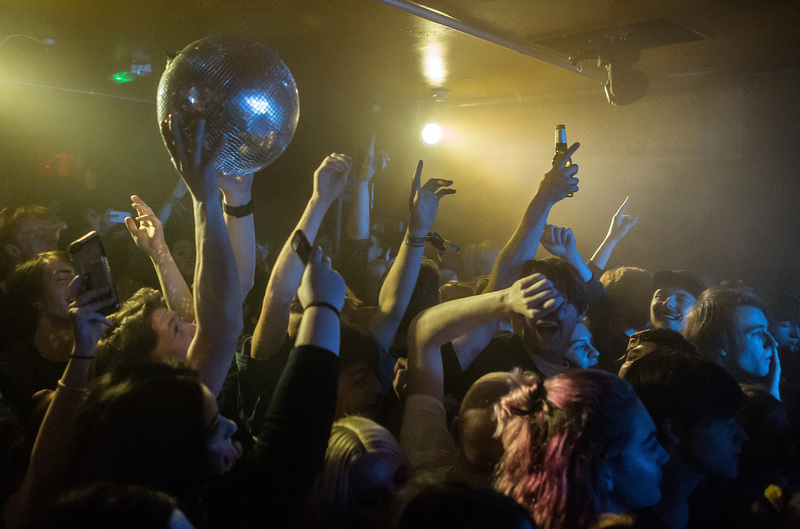 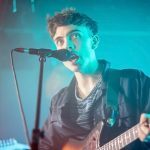 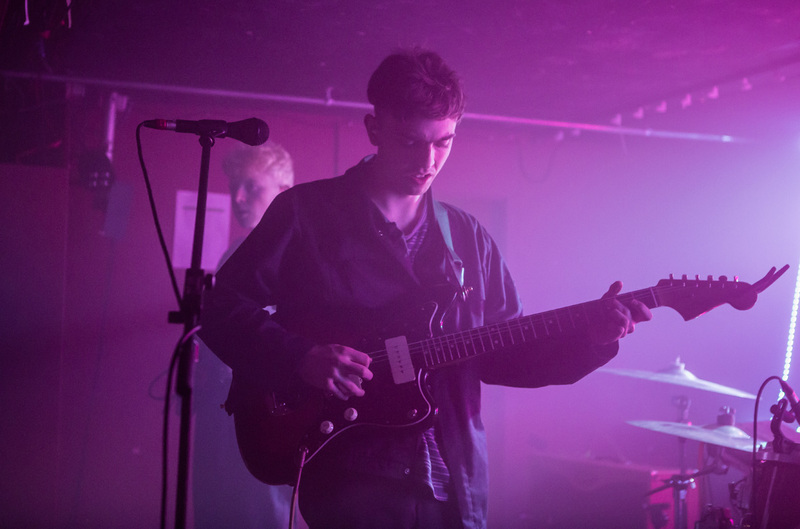 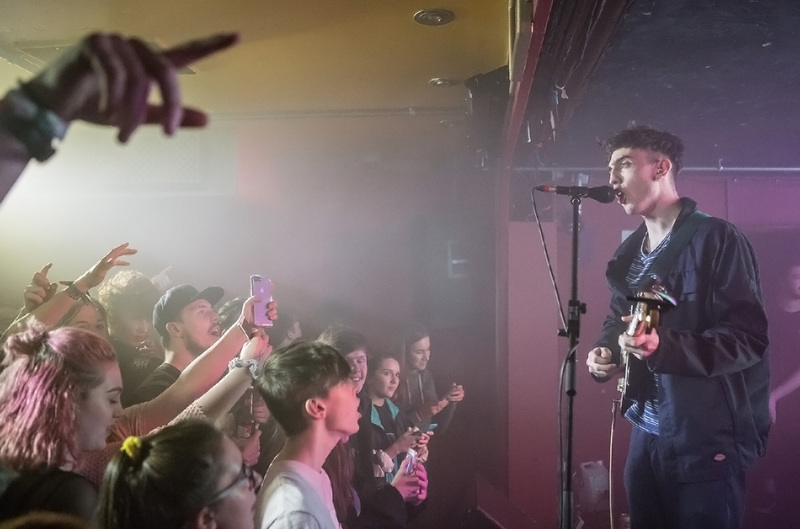 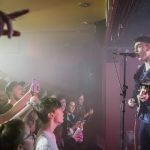 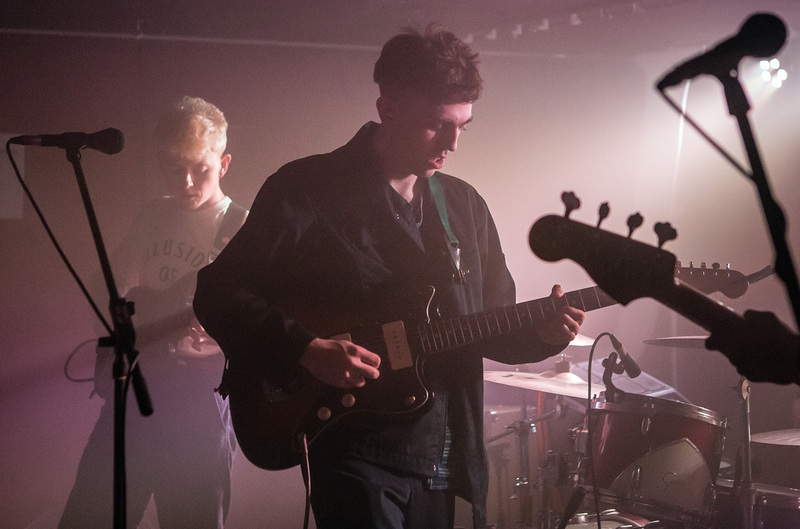 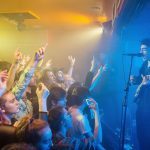 Connor Schofield rounded off the night by admitting that the band, “couldn’t be arsed going off stage to come back on for the encore,” as the room they would be ushered into was tiny. 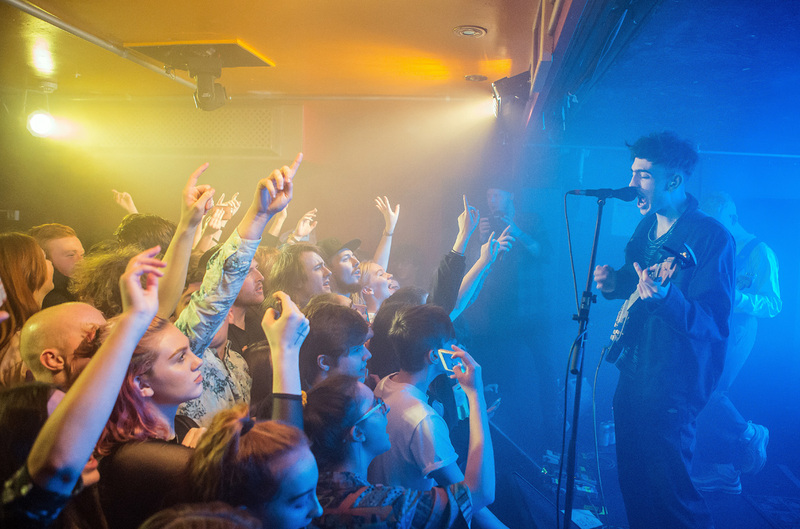 So, much to the delight of their fans, they remained in place, and played 2012’s Toucan Surf before finishing with Gold. 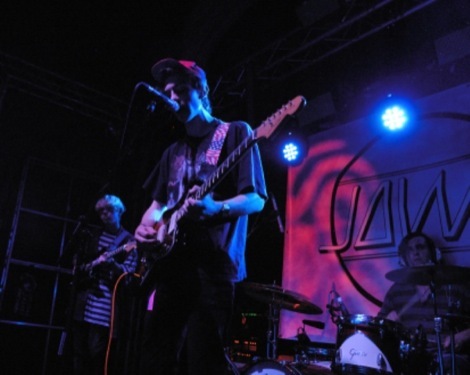 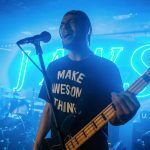 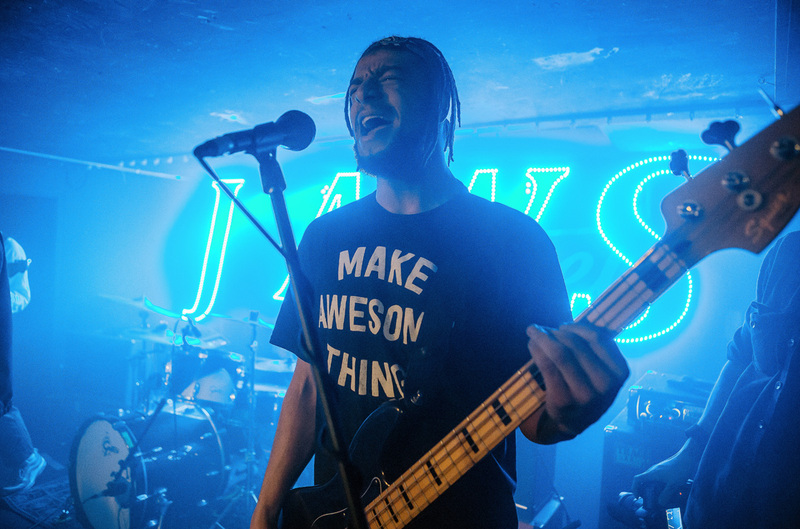 Supporting Jaws were London four-piece, Social Contract, who provided a loud, heavy and fast set, channelling their inner Joy Division in a passionate and fresh manner. 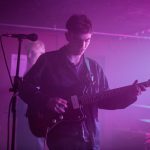 Vocals flitted between Ian Curtis style melancholic drone, to Orlando Weeks’ Maccabees-esque strain.